Yes you should , firstly you can play skyrim on anything, and fallout 4 can be run on a 1060 max settings ~30 fps (I think.) and minecraft is super easy to run on a ryzen. This build will absolutely handle modded Skyrim/FO4. I have a very similar one and both run fantastically. 16GB of RAM? I hope it can run Cities: Skylines with a lot of mods installed. im a rookie, but I dont see any fans or cooling devices? will that be a issue? The CPU, GPU and case will come with stock fans. People like to upgrade them with a cooling system. The description on this build argues that this is light enough that the stock cooling will be fine, even with modest overclocking. I'm sure you've seen and answered dozens of the same question, but: With a budget of $41.00 USD over the total current price, do you have any specific recommendations? This will be my first personal build, and I'd like to "dip my toes" into PC building before I go all out with research etc. Any help is much appreciated! Something like a micro atx MSI or Gigabyte mobo for an extra 20-30 dollars would be good instead of the sketchy biostar one. I'm with you instead of 16 of ram get 8 and upgrade mobo. I wouldn't say downgrade on RAM; Ryzen eats the stuff for breakfast. The $41 OP has to spare will be enough to upgrade. Galepsi! For 40$ more you could buy a Ryzen 7 1700 for only 43 dollars more!!!!! I am thinking about building a PC for the first time. Would you guys recommend this build for someone who knows next to nothing about building a PC? Also could you recommend a specific mother board upgrade for this? I can spend about 30$ more for a motherboard upgrade but I know nothing about compatibility. Pcpartpicker and r/buildapc on reddit have ways to check for compatabilty Im in the same situation as you! For a first time build, this is fine. I would personaly get an ATX mobo but that is entirely up to you. I'm not sure how to explain this sorry, but they are the full sized mobos (I'm pretty sure). A good one that I have previously bought is the ASRock - AB350 Pro4 board, but only get this if you are getting a ryzen CPU, as it will not work with an Intel chip. Getting a smaller mobo that isn't ATX is perfectly fine, it's just what you prefer. Does it run Fortnite with some recpectful FPS(70+) and epic settings? This build should demolish the game. On Epic, you'll be expecting around 100 fps. HasNeyn, can you record you playing the game with max settings and 100 fps please? How well would a 1070 quicksilver work with this? Any bottle-necking? Would this run TF2 1080p max settings at 60fps? Yes, definitely. TF2 is one of the least demanding games on the market, it'll run without a problem. In my opinion not to sound like an *** would go to r51600 see if a gtx 1070 could fit in the budget instead. Yeah, you're right. The 1600 also has a better stock cooler. And to answer the other guy: 8GB are too little for 2018. If this were a <600$ build maybe. Does this computer run fortnight with ultra settings over 100 FPS? I bought the wrong motherboard by accident and purchased the B450M Pro-M2. Will this still work? Nice guild. I would up the memory to 3000 though. Most of the reviews and builds I've seen pair 2nd gen Ryzen with 3000+ to take full advantage. Noob here. What would you recommend for wifi adapter in that kind of motherboard? I'm planning to buy either a motherboard with wifi (no idea right now what model) or same motherboard with wifi adapter. Ok so I am a complete rookie, because this is my first build, and I'm kinda confused by this, If I were to use the Net Dyn WiFi adapter where would I plug it in, and does it feed off of my current WiFi or create a new one (I'm assuming the latter but I want to be sure)? And lastly, I'm not sure whether or not I'd upgrade the Motherboard because along with the WiFi adapter, it'll raise the price of the build a lot. Am I just doing this wrong or is that how it's supposed to be? Prob a dumb question but is the size of the MB significant at all? 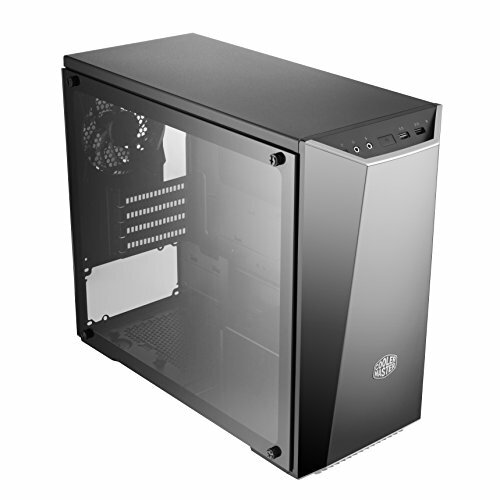 Like, I see the one on the parts list is a microATX so is the only benefit is to be able to fit it in a smaller case or is there any performance difference with an ATX board in the same price range? ATX motherboards generally have additional ports/pcie slots and more fan headers than mATX motherboards but it will vary based on model. Great build, this is all just food for thought. 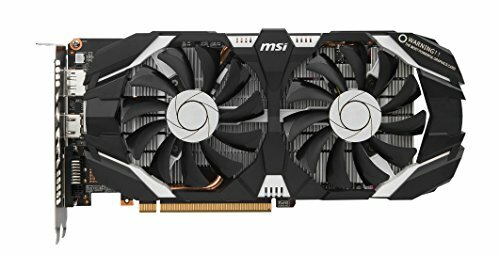 MSI armor RX 580 8GB from amazon.com for 325 all in. Same card was running 350 to 375 amazon.ca. Offers same performance for 55 bucks less. Also had the Master box 3.1 your going to be running high temps. I ditched mine for a more air flow choice but is was hard cause the thing looks so good. For PSU's they are selling EVGA 550 bronze for 55 bucks. [STAFF REMOVED] Hope this helps save more money! would this run pubg and fortnite, at 144 fps and high graphics? I think you'll be fine. But changing the motherboard is a good idea I think. you have to buy the OS your self. if you already have a prebuilt laptop or pc you could use the OS from that. you would just need to get your product key. You don't have to buy the operating system. You could just use an inactivated version of Windows, like me. Keep in mind that there will be a watermark in the bottom right corner of your screen saying "Activate Windows". If that doesn't annoy you, get the inactivated version of Windows. It works just like the full version but only with the watermark. Question: Can this PC run rendering programs such as Lumion 8? Is this able to stream and play games and have other pages open in the background at the same time with no issues. Can someone please help? I just finished the build, everything turns on, but the graphics card turns off after 10 seconds, and I have no signal on my monitor. How do I fix this? Did you plug in the hdmi cable? Thanks for sharing this build. I built this one over the past week, with slight modifications, and it has been running great. I added the two extra fans for the case just in case. Read lots of reviews saying it doesnt have very good airflow. So far, with 3 fans, it has maintained things cool. Would this be able to run games such as Planet Coaster at high graphical settings? Noob here. I may need a wifi for our current setup in our apartment. With that, should I buy a different motherboard with wifi or just a wifi adapter? If motherboard with wifi, what would you recommend on this build? if wifi adapter, anything particular? Using it for gaming (primary) and work/other stuff like excel, visio, photoshop, vegas pro (secondary). Thanks for the references. This one really helps. Will this run fortnite on epic? Depends on the resolution you are running at. Would this be able to work with the LG 43inch 4K monitor for non-gaming (business) applications? I plan on using the feature that splits it into 4 21.5inch 1080P monitor equivalents. My business apps include mostly stock trading applications like thinkorswim or TC2000 (in case anyone knows of them). Question about the motherboard. I see a lot of comments saying to maybe change the motherboard. Should I stick with the motherboard on the build or what motherboard should I use instead? I am building this exact build minus the case. For the case I went with a pricier Corsair mid tower. Depending on your region and retailer settings you are going to see a different motherboard than other people viewing this list. If you have questions about a particular part I would make a post in the applicable forum or lock the parts in the part list and post to the part list opinions wanted forum. You should change the case, lite 3.1 is pretty bad. Hey anyone know if I can run fortnite,csgo,league,worldofwarcraft and maybe gta and other games on this pc? people have been saying that this mobo is sketch, is there another you would reccomend? Imho the -F series is way overpriced for the B450 chipset. The asrock pro lineup are a better deal. can this build run Call of duty: Black Ops 3 at 80-120 fps? Yes. Depends on resolution too. At 1080p you should be fine. Do I need a sound card? or is it onboard somewhere? I would want directional sound for headphones and such. The vast majority of people can use the onboard audio on the motherboard without issue. I would say you would need to get a better cooler if your going with intel though. How would the ASRock - B450M-HDV Micro ATX AM4 Motherboard go in this build? It would work fine since it's a B450 AM4 motherboard. Remember that AM4 is for AMD Ryzen CPU's. The NexG/G1 is a very poor choice in PSU. The NexG/G1 is group regulated vs. DC-DC, as a result of being group regulated it has less than ideal voltage regulation and it has merely average ripple suppression, and it has decent build quality. Sounds good right? Without accounting for price its not a bad unit but accounting for its price its competing with juggernauts way out its league like the Seasonic Focus, Evga G3, and the BitFenix Whisper M which are all around better in every way. Even the cheaper Corsair CXM is better than the NexG/G1. I'm a first-timer, got any recommended construction videos, or guides? PCPP has quite a few videos of them building PC's. Also just look up how to build a PC, plenty of stuff will come up. Will this be able to run gta 5 with mods? PC Noob here. I’m looking into building my first PC and this build looks like it would be perfect for me. However, I can spend $100-120 extra on this build with my current budget. Is there any recommendations that someone could give me to make this build better? What are you looking for in you pc, if you are gaming this will be fine, if you will game and stream it i recommend a ryzen 7 1700 which has 2 extra cores and only 70 dollars more! I am going to be building a PC soon and i want to know is this a good PC to build 1 for starting to build a PC and not knowing anything on how to build one and 2 is this a good enough PC to run Fortnite on the highest graphic settings? No maybes I need for sure answers please. This build can definitely play fortnite at the highest settings, although I believe if you upgrade the ram to say 3000 megahertz you could get even more performance because of the ryzen cpu. Hello, will this work with a Ryzen 7 1700? Dang that's called bang for your buck. do you know what fps will this machine let me have in CS:GO? Can we switch out the case for something different as long as its a micro-ATX? Can I substitute the gtx 1060 with a 4gb 1050ti? How well do you guys think this would run fortnite? and on what settings? i am very interested in this build and i have some questions....do i need a cpu cooler if i dont want to overclock or the stock cooler is enough? will i be able to run cod ww2, far cry 5, bf5 and pubg in 1080p at 60fps? (my monitor is 1080p@60hz) is msi B450 tomahawk a better choice in motherboard? Hello, I'm a noob. Would changing the motherboard to the ASRock - B450M-HDV Micro ATX AM4 be OK? Also, would I have to buy a Windows 10 Key? 1) How much will the 2600 overclock with the stock cooler? 2) Is the 1060/RX 580 enough for 2560x1080 (21:9 1080p) on AAA games (the games I'm playing/interested in playing are R6, Shadow of War, The Witcher 3, GTA V, Skyrim, and Fallout)? I am willing to sacrifice some settings for this. 3) Is 8GB of RAM enough for the games mentioned above? You should aim for 3.8~4.0ghz with the stock cooler and the 1060 is definitely good for any of those games, but make sure to get the 6gb model. 8gb ram is good for almost all demanding games, so maybe when RAM prices drop even further get another 8gb stick or buy a 2x4 kit twice with a different mobo. The currency is set based on the location you are using in the top right corner of the site. Looks great, just make sure to upgrade that ram to at least 3000mrtz because of the ryzen cpu. If i copied this exact build, would you say it’s futureproof? Like would I be able to switch out to a 1080ti or an rtx card? Everything but that MOBO checks out, would spend a few extra bucks to get something much nicer. I dont know if any of you are car enthusiasts like me but I would like to run Assetto Corsa, Forza horizon for and some other similair games. I know that Assetto Corsa isnt a super demanding game but I would like to run it on VR later down the line, do you think this would be enough for VR? 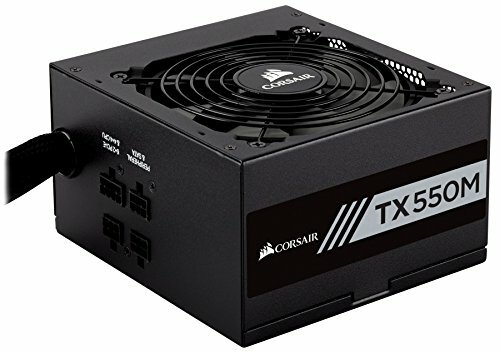 This is my first time attempting to build a computer, So, sorry if these are stupid questions. Thanks! Looking to play farm simulator 19 ets2 and other simulator games all with ton of mods how well will this hold up to them? Will some of the parts be on sale on Black Friday or Cyber Monday? Do NOT buy this motherboard with a 2600. It's not made for this cpu and you will throttle. Buy x470 instead. I am looking for something that can play, and possible stream games and graphics quality is really important to me, is there another build someone might recommend or would this suffice? I see a lot of people saying that the MOBO is not good in this build, however, whenever I to put a new one into the build I get this warning "Some AMD B350 chipset motherboards may need a BIOS update prior to using Pinnacle Ridge CPUs. Upgrading the BIOS may require a different CPU that is supported by older BIOS revisions." Any advice? Is most of this plug and play?so I need to buy Windows? GTA 5 with mods? bit of a noob here, but if i subbed in the 'ASUS GeForce GTX 1060 6GB Dual-Fan OC Edition' for this gpu, would everything still be compatible? Also, how does the gpu that i just mentioned compare to the one in the build? Also, would there be any compatibility issues with if I were to get a ryzen 5 2600x instead of this one? Does anyone know where a guide to build this is? Is this build powerful enough to run Minecraft VR at high setting? Is it a good idea to add a corsaire master masterliquid ML240L RGB cpu cooler. 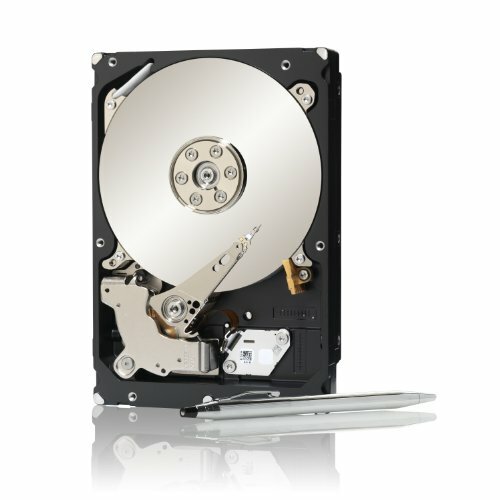 Or to secondly replace the storage with a SEAGATE ST2000DM006 2 tb hard drive? Is this build good enouth for cod bo 4 ? Actually the i7 3770 should be able to run cod 4. How many fps are you getting? Hey, this build looks great but I just have a few questions. First of all, I'm just double checking but would this be VR compatible because sooner or later down the road I want to be able to play VR on this PC without having to upgrade. Also if anyone knows if this would presumably be able to run stuff like photoshop, I assume it can and that this is VR ready based on what I've looked up, I just want to make sure before I consider this as my first PC. I'd honeslty get a better case it doesn't have to good cable management and is a bit flimsy. But if you don't mind that go ahead. Curious, how would this game handle Ghost Recon Wildlands, Grand Theft Auto V, and Arma 3? Hi i'm noob in pc but if I buy it can it run ARK survivor and rust well.Like more than 60 FPS Because I really want those game. PLZ. How does R6S do on this pc? I have a question that is probably incredibly dumb but I'm researching into building my first set up. How does Wifi work/fit into this build? Hi, I am new to building PCs, in fact its gonna be my first build. I tried customizing this build and this what I came up with. https://pcpartpicker.com/list/G2rMHh Should I make any changes and also I am confused on the Monitor part. A little help will be appreciated. Medium 1080p you are easily looking at 5+ years. I played this weekend with this build on a 1050, ran very well.